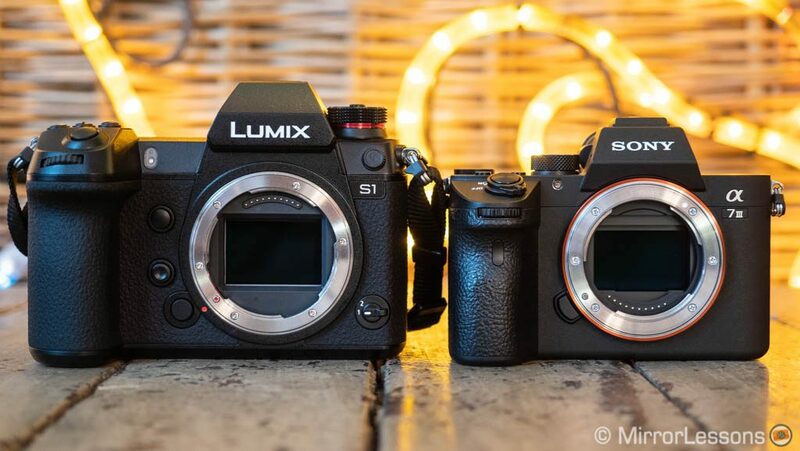 Panasonic has launched the S1 and S1R, making it the fifth camera company to release a full-frame mirrorless system in what has now become a very crowded market. The S1 offers very interesting video specifications, as well as five-axis stabilisation, the highest resolution viewfinder on the market and many other features, all packed inside a large and robust body. 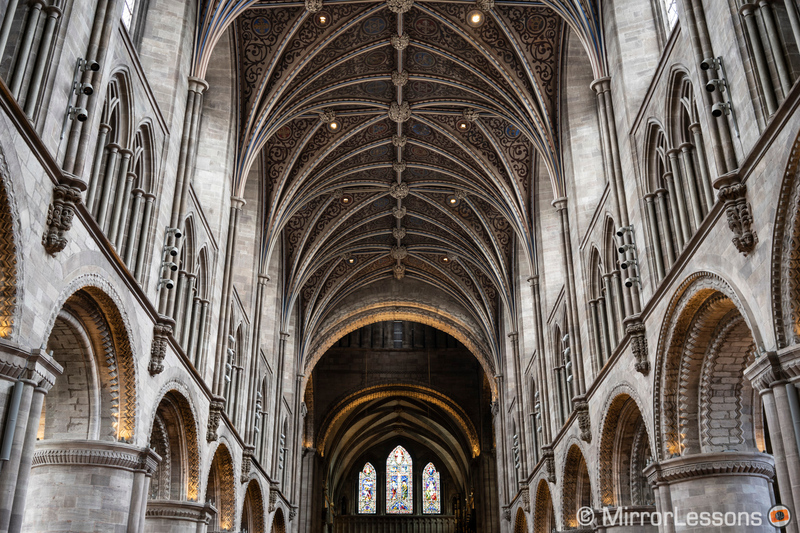 Its most natural competitor is the Sony A7 III, whose performance and popularity is unmatched in the mirrorless world (if not the digital camera market in general). The two cameras have some important specifications in common such as a 35mm format sensor, 24.2MP of resolution and an ISO range of 100 to 51200, with extended values up to 204800 ISO. How do the two compare? 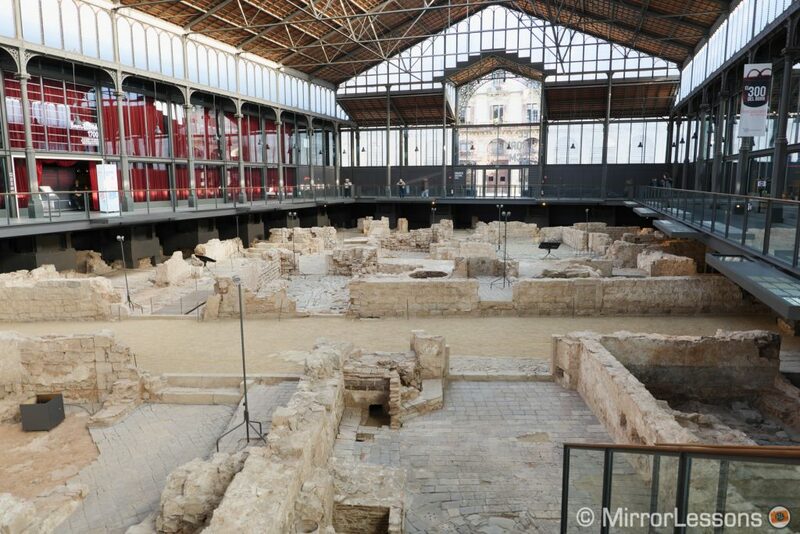 Here are our thoughts after testing the S1 for the first time at the European press event in Barcelona (you can also check out our S1 vs S1R article). Ethics statement: the following is based on our hands-on experience with the S1 at the Panasonic launch event and our personal experience with our own copy of the A7 III. The S1 we tested was a pre-production model. Within the article, there are affiliate links. If you buy something after clicking one of these links, we will receive a small commission. To know more about our ethics, you can visit our full disclosure page. Thank you! 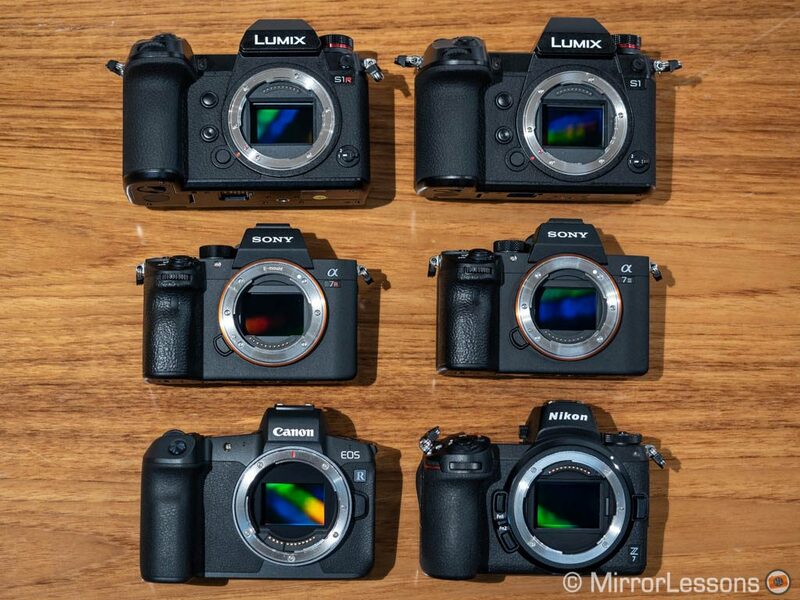 We started to review mirrorless cameras six years ago when the compact form factor was the key selling point. These systems have since evolved to meet the demands of advanced and professional photographers, and with that came larger bodies to improve the ergonomics, amongst other things. We also realise that keeping an entire system compact is often a challenge when there are large sensors and fast aperture lenses involved. The Panasonic S is the second mirrorless system (after the Leica SL) to pull the topic of small size out of the equation. 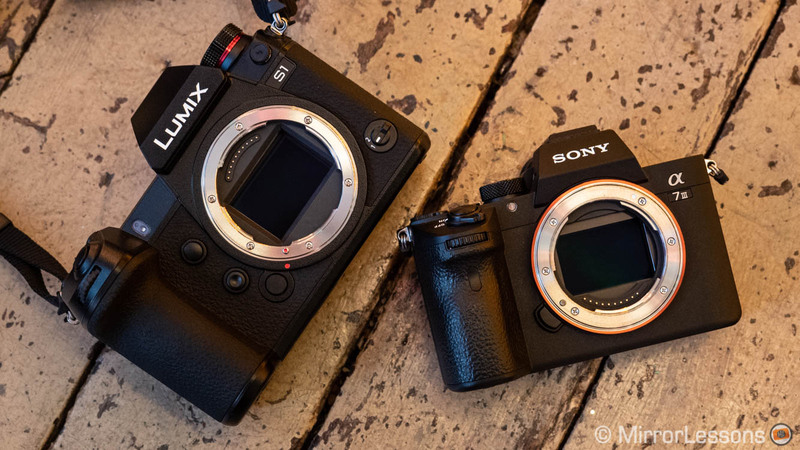 The S1 and S1R are large and heavy cameras, and the difference becomes noticeable when we put the S1 next to the Sony A7 III. The A7 design is interesting because Sony has kept it as compact as possible, even though some of its E-Mount lenses are large and heavy. This is both a positive and a negative at the same time. It is positive because you can build a compact set-up with small primes. It is negative because as soon as you start using large lenses such as the 24-70mm f/2.8 GM or the 100-400mm f/4.5-5.6 GM, the grip becomes uncomfortable and the set-up starts to feel unbalanced. Fortunately there are grip extenders and a vertical battery grip to improve the ergonomics, but it is not always ideal. With the S1 and S1R, there is less scope to create a compact set-up. Even its first prime, the 50mm f/1.4, is a very large and heavy lens. Is it not possible to find a better compromise? Well, I think it is. All we have to do is look at the Nikon Z6 and Z7. They are similar in size to the A7 series but benefit from a larger grip. Now the larger size of the S1 is not all negative by any means. The grip is very comfortable and the extra space has allowed for the placement of lots of dials, buttons and levers. Both products are weather-sealed and the S1 is also freeze-proof down to -10ºC. The S1 features an OLED electronic viewfinder with 5,670k dots of resolution, making it the highest of all mirrorless cameras. The magnification is 0.78x, the maximum refresh rate is 120Hz and it has a minimum lag of 0.005s. The A7 III finder uses an OLED panel as well but has less resolution (2,360k dots). The magnification is the same (0.78x) but the maximum refresh rate doesn’t go past 60hz. Sony hasn’t disclosed the display lag. 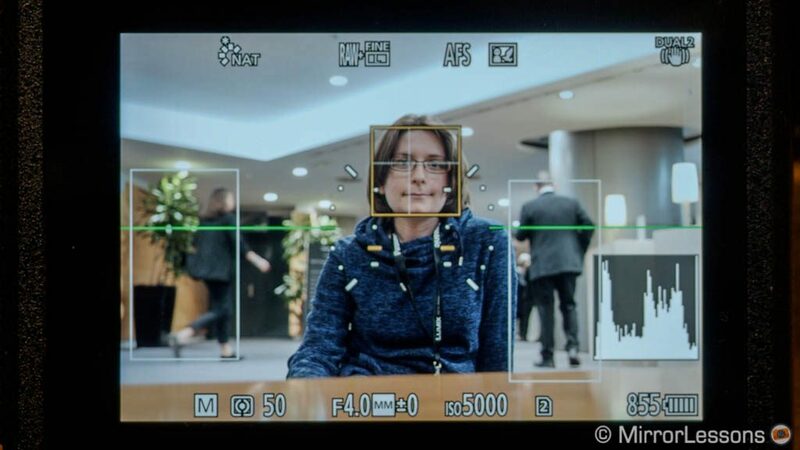 The Sony EVF is good but using a viewfinder with more resolution, such as that of Sony’s own A7r III for example, is especially handy when manual focusing. The S1 brings EVF technology to the next level by adding more sharpness and detail, as well as the possibility to change the magnification (0.74x or 0.7x) which is useful for someone like me who wears glasses. The rear LCD monitor is a bit larger on the S1 (3.2 vs 3.0 inches) and has more resolution (2.1M vs 0.9M dots). They both offer touch sensitivity but there are more controls on the S1, not to mention that it allows you to take pictures, navigate the menu, create custom AF areas and even move elements such as the histogram. On the A7 III, you can move the focus point or swipe through your images in playback mode. 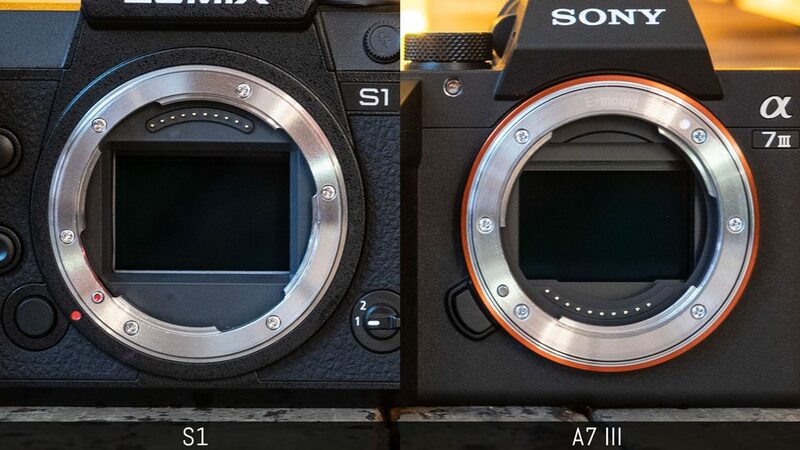 The tilting mechanism is also different: the S1 LCD moves on 3 axes (up, down and to the right) whereas the A7 III has just two axes (up and down). Finally, the S1 has a top screen where it displays the various settings in use as well as the remaining battery life and card space. It can be retro-illuminated with the dedicated button, which also illuminates some of the buttons on the rear. Panasonic has continued to develop its DfD (Depth from Defocus) contrast detection autofocus, implementing it for the very first time on a full-frame camera. 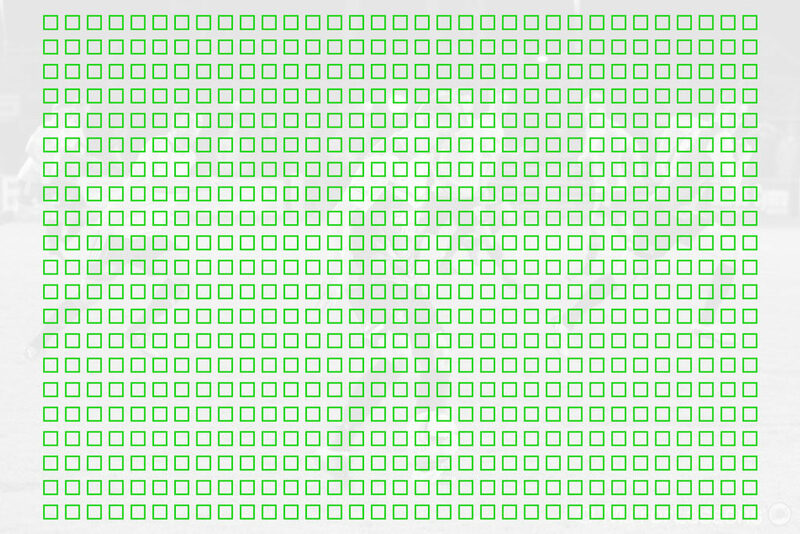 This solution is more advanced than a normal contrast detection AF system that just analyses the contrast of a scene. 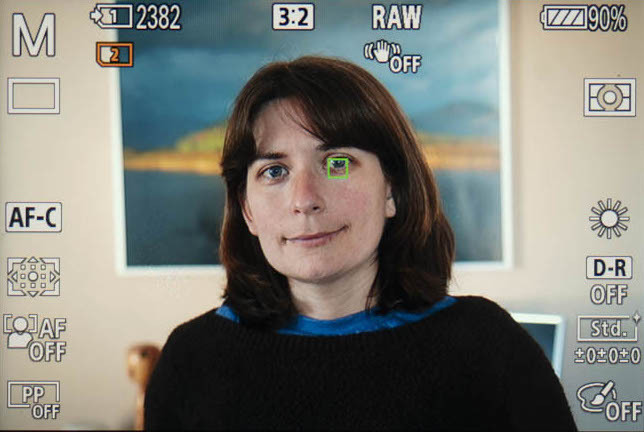 With DfD, the camera compares the different depth of field of two images and calculates the correct focus distance by analysing the difference of the out of focus areas. This process is done at a speed of 480fps. The maximum number of points on the S1 is 225 and the minimum sensitivity is -6Ev with an f/1.4 lens (or -5EV with an f/2 lens). The Sony’s minimum sensitivity is -3EV with an f/2 lens. The A7 III uses a hybrid system with 693 phase and 425 contrast points. With phase detection the Sony analyses the incoming light with two small sensors for each focus point. The phase difference allows the camera to calculate the correct focus (when the light passing through the two phase sensors converges at the same point, the image is in focus). The 4D Focus technology helps you track a subject across a wide area (the phase points cover 93% of the sensor area) and analyse the depth and speed at which the subject is moving. When phase detection is not enough (low light situations for example), the A7 III can use contrast detection as well. In our tests we found that the camera tends to prioritise the latter in S-AF, whereas in C-AF the phase points are always used. The improvements we tested on the GH5 and G9 are significant so I was really curious to see how DfD would perform on the new camera. My first impressions are positive for the most part: the S1 is lightning fast at acquiring focus and confusing textures don’t seem to hinder it. So far the only thing I noticed is that in low light the camera struggles if the subject doesn’t have enough contrast or if there are intense lights in the background. But since I was using a pre-production model, I’ll wait for the final firmware to see if that is still the case. The A7 III has a great autofocus system that isn’t far off the flagship A9 in terms of performance, which means it is among the best in the mirrorless segment. EyeAF, which puts a single phase point on the subject, is class-leading. With the S1, Panasonic has introduced what it calls Advanced Artificial Technology. In addition to faces and eyes, it can detect human bodies and animals. I played a lot with face, eye and body detection and I was surprised to see how quickly the camera detects people in the frame. It tracks well when the subject moves and turns around. If it detects more than one person though, it tends to jump from one person to another. You can press the AF joystick to select which one to prioritise but the camera doesn’t always follow through. That being said, there are settings to control speed and responsiveness, and the final firmware might come with a few tweaks. S1: Face and eye detected on the main subject, plus the two people walking in the background. The A7 III will soon receive an update to EyeAF that will allow you to select the right or left eye, as well as work with animals. The latter is part of a series of AF improvements that Sony is working on with the help of artificial intelligence-based subject recognition. 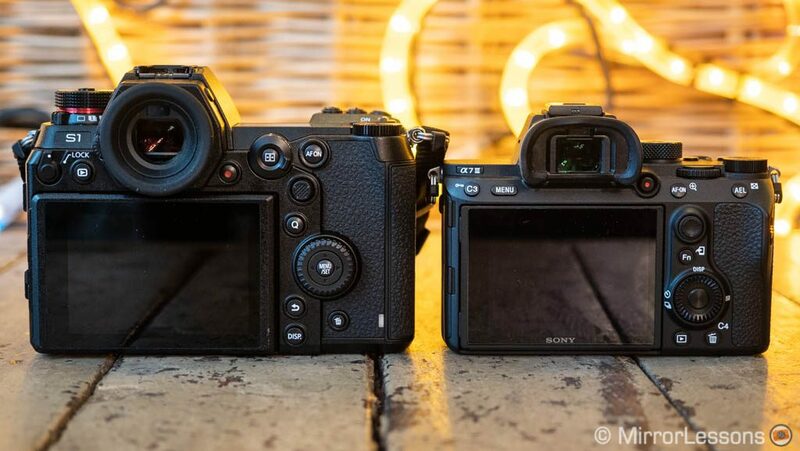 Another point worth making is that thanks to its phase detection points, the A7 III is compatible with many adapters and DSLR lenses and the autofocus performance is good. Sigma will design an EOS to L adapter for the S1 but we have yet to see how the DfD autofocus will behave. The S1 can shoot at a maximum of 9fps with focus locked on the first frame, or 6fps with continuous AF and live view. The A7 III offers superior performance, allowing for speeds up to 10fps and full C-AF support. Up to 8fps, live view is available. The buffer capabilities are higher with the S1. 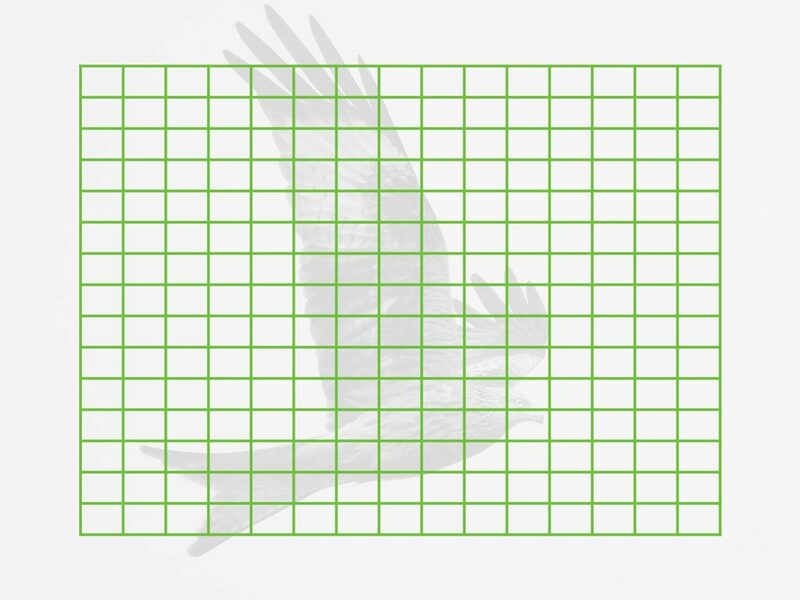 It can take 90 RAW or unlimited JPGs at full speed. The A7 III does around 89 RAW and in our tests the Sony can shoot continuously with JPGs and a UHS-II card. The S1 has an extra mode for continuous shooting: 4K and 6K Photo. It records video at 60fps or 30fps respectively and allows you to save any frame into an 8MP (4K) or 18MP (6K) JPG file. 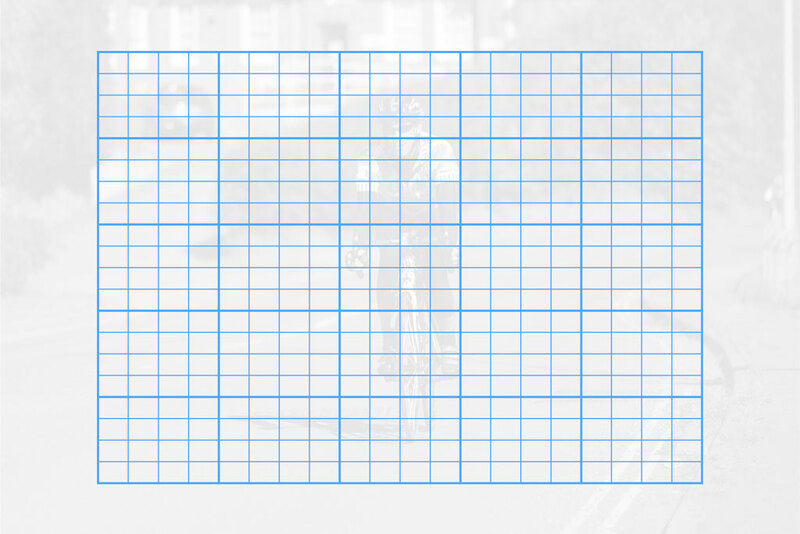 You can choose different aspect ratios including the native 3:2. Both cameras offer 4K video and slow motion capabilities but the S1 is definitely the more advanced of the two. First it can record 4K up to 50 or 60fps, a first for a full-frame camera although ironically the S1 automatically crops the sensor by 1.5x (APS-C) at that frame rate. 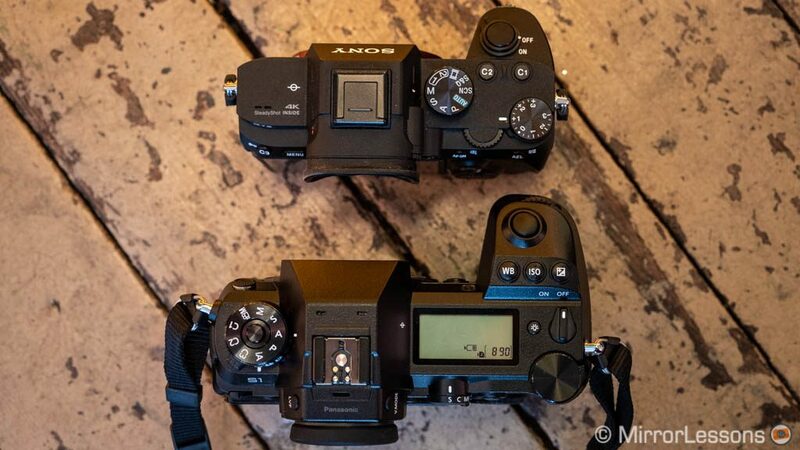 Both cameras offer 4K at 24/25p with full pixel readout and zero cropping of the sensor. This means that approximately 6K of information is used and downsampled to 4K to increase detail rendering. At 30p, the A7 III applies a 1.2x crop unlike the S1. My first outing with the S1 was very positive and I really like the look of the 4K footage. The colour rendering in particular is very nice and it’s great to see that Panasonic is continuing to fine-tune it, which is something we already appreciated on the GH5 and G9. There are several profiles designed for video including Cine-Like, Like709 and a new Flat mode. 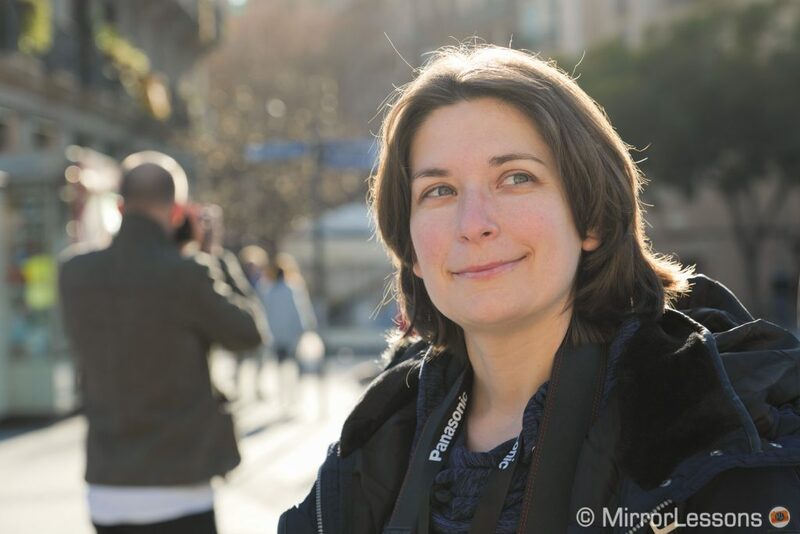 The A7 III can produce some excellent footage but I found that you don’t always get the best results in-camera when applying the various picture profiles. The high ISO performance of the S1 also surprised me. It looks really clean at 10,000 ISO. That being said, the A7 III is capable of excellent results in low light too. The S1 can record in HDR (HLG) with the HEVC (H.265) codec in 10-bit 4:2:0. The A7 III also has HLG profiles but they are limited to 8-bit 4:2:0 which is the compression standard for all the video recording settings including S-Log2 and S-Log3 gammas. Later on in the year, the S1 will receive a (paid) firmware upgrade that will unlock 10-bit 4:2:2 internal recording up to 30p, or external via HDMI up to 60p (the A7 III is limited to 30p 8-bit 4:2:2 via HDMI). The S1 can record for an unlimited time in 4K/30p and 1080p, whereas the A7 III has a 30 minute limit, which applies to the S1 as well when recording in 4K/60p. Finally, both cameras can record in High Frame Rate mode where the footage is conformed to 25p or 30p to have slow motion results in-camera. The S1 can do it in 4K up to 60p, or Full HD up to 180fps. The Sony does it in Full HD up to 120fps. It also has a Quick&Slow mode where you can select lower frame rates to speed up the motion in your video clips. The S1 comes with 5-axis in-body stabilisation that provides up to 5.5Ev of compensation (CIPA standards). Mount a lens with optical stabilisation and the two work together (Dual I.S.2) for a slight increase in performance (6Ev). Taking stills at around half a second seemed easy enough with the S1, and the video footage has good stability when walking or for static shots at long focal lengths. The A7 III uses five axis IBIS as well with a lower compensation rating (5Ev). It can combine internal stabilisation with OS but in that case only three axes are used on the sensor. Judging from my first impressions with the Lumix camera, the performance seems more stable in video mode than the A7 III. For stills I managed a few shots at around 1s with the A7 III but the keeper rate is very low and you need to go up to 1/10s to get more consistent results. The S1 has a dual slot, one of which is SD (UHS-II compatible) and the other, XQD. The latter will also be compatible with the CFexpress standard. XQD is the same type used by the Nikon Z6 and Z7. They are more expensive than SE cards but are thicker and have a faster writing speed. However I’m glad Panasonic lets you use an SD card as well. 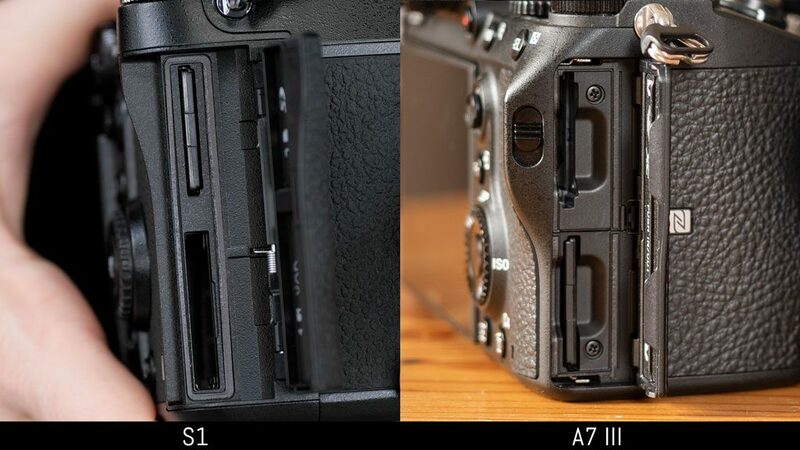 The A7 III uses two SD card slots, and the first one is compliant with the UHS-II protocol. 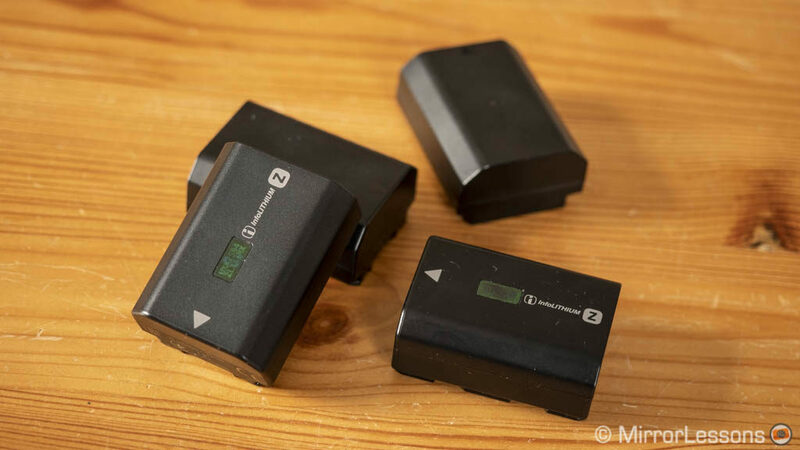 The S1 has an official rating of around 400 images which doesn’t sound great on paper but we found the battery life to be better than expected during our afternoon workshop with the camera. Of course we have yet to see how long it lasts for long sessions of continuous shooting or 4K video recording. The A7 III has the best battery life of any mirrorless camera. The official rating is around 650 images, but we easily tripled that in our personal experience. Both cameras can be charged via USB and the S1 can also be powered via USB while turned on. 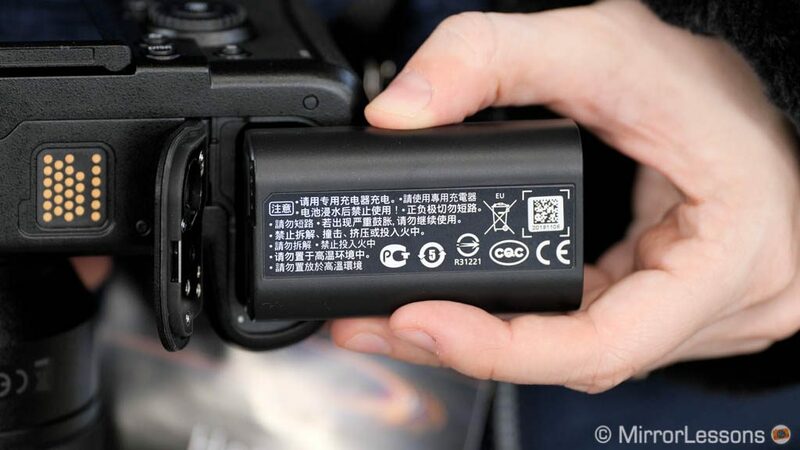 An optional battery grip from the two companies is available as well. The S1 is the first product launched after the unveiling of the Panasonic-Leica-Sigma alliance and the L-mount system. The mount is the same as that used by Leica on its SL series (the German brand is the licensee). Like Sony, Leica uses this mount for both its APS-C and full-frame mirrorless products, but it is unlikely that Panasonic will produce APS-C cameras since it has already developed a Micro Four Thirds system. The S1 was launched with three lenses (24-105mm f/4, 70-200mm f/4 and 50mm f/1.4). All the Leica SL lenses are compatible and Sigma should release an updated version of 14 lenses to be used on the L-mount camera. Panasonic has promised 7 more lenses which means that by the end of 2020, S1 users will be able to count on no fewer than 42 options. 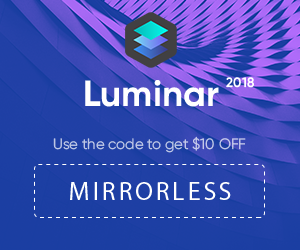 This sounds impressive but the Leica SL lenses have a much higher price tag so I’m guessing most photographers will turn to the Panasonic and Sigma offerings instead. Sigma is actually the one that can play an important role in the rapid expansion of the system, as it does with Nikon and Canon, and started doing for Sony as well. Its lenses have excellent optical performance but come at an affordable price. For example I’m sure that the 50mm 1.4 Art will be much cheaper than the S Pro 50mm 1.4 (designed with Leica) which costs more than $2000 US! The A7 III can count on more than 26 native FE lenses from Sony, 10 primes from Zeiss, 5 primes from Samyang, 9 primes from Sigma and one 2.8 zoom from Tamron. Sony has promised 10 more lenses by the end of 2020 and we should see more from Sigma and Tamron. Some of the Sony lenses are on the expensive side but the increased participation of Tamron, Sigma and Samyang is certainly helping in these regards. The S1 starts with a retail price of $2500 / £2200 / €2500. The Sony model can be found for around $2000 / £1850 / €2100. The street price might be a bit lower and further discounts may be available depending on the country and time of year. The image quality of the S1 looks really good. I particularly enjoyed the colour rendering in video mode and the excellent high ISO performance. The Panasonic colour palette might end up being my favourite, although I have to perform more tests before saying more. My only doubt is Panasonic’s DfD autofocus system. I experienced good results at the press event but I do wonder if it can perform at the same level as the A7 III when tracking difficult subjects such as birds in flight. The advanced AI recognition has lots of potential, but I admit I am prepared to be blown away by EyeAF for Animals on the A7 III in a few months. We’re looking forward to putting the S1 though its paces when it becomes available and writing up an in-depth comparison with the A7 III . 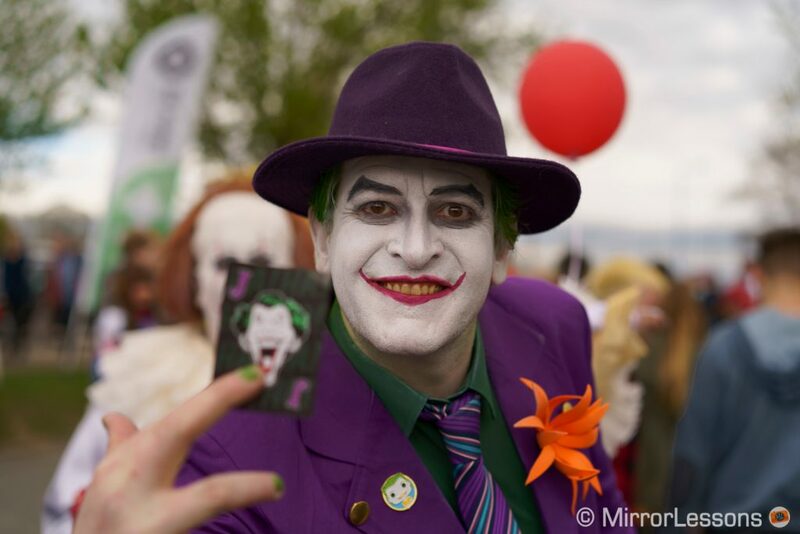 It’s a busy time for mirrorless aficionados these days, isn’t it!